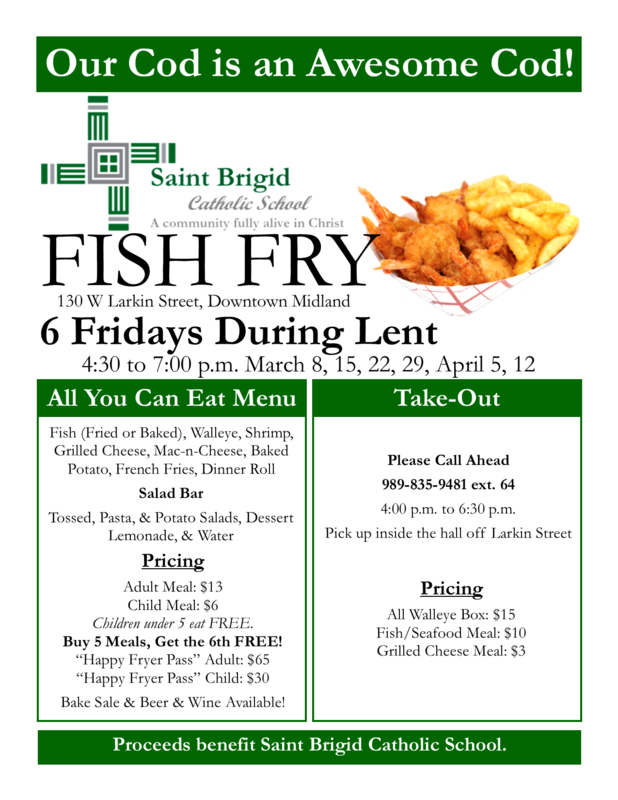 The Catholic Diocese of Saginaw has announced a new scholarship program for Catholic Schools, all new students are eligible! Read the press release here! 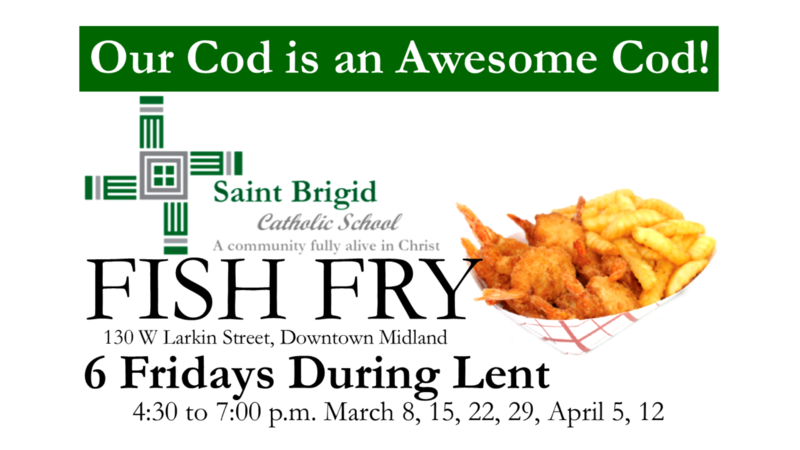 Join us every Friday in Lent for Midland’s best Lenten Fish Fry at Saint Brigid Catholic School!